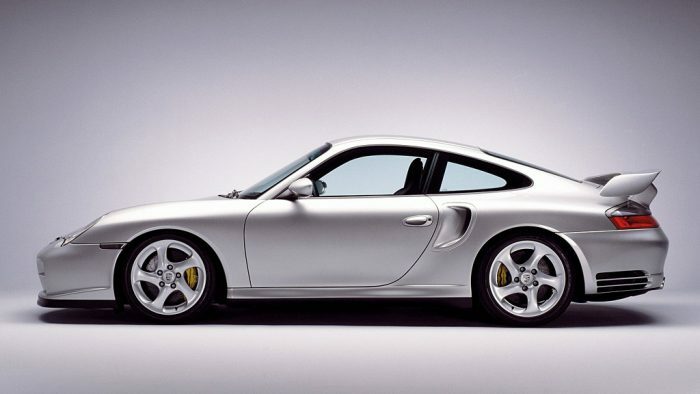 The Porsche 911 GT2 combines the sporting character of the 911 GT3 with the equally supreme performance of the 911 Turbo. The fastest member of the 911 family, the 911 GT2 accelerates to 100 km/h in a mere 4.1 seconds, reaching the 200 km/h mark after just 12.9 seconds. And this urge for ongoing pace and action does not come to an end until the car has reached its top speed of no less than 315 km/h or 195 mph. Racing round the northern circuit of Nürburgring, the 911 GT2 even outperforms the GT3, with a lap time of 7:47 minutes. 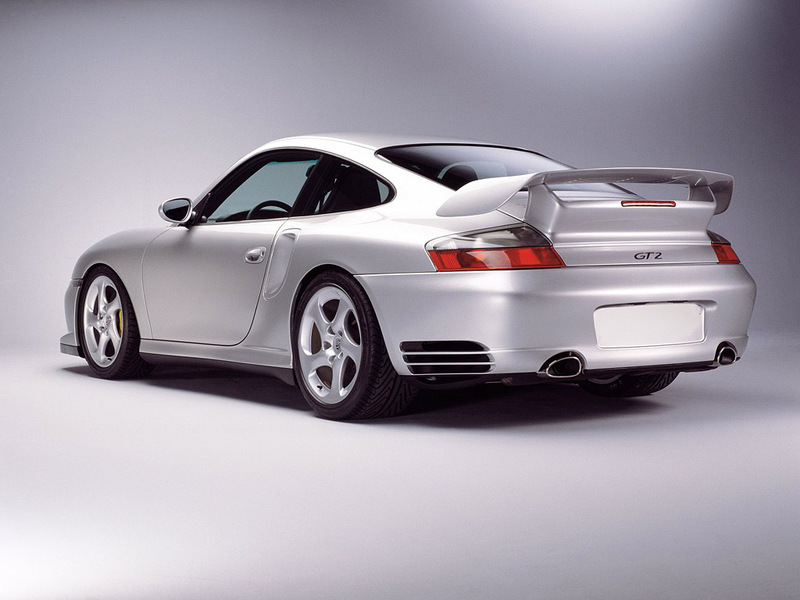 The power unit featured in the new Porsche 911 GT2 is a high-performance evolution version of the six-cylinder horizontally opposed engine first appearing in the 911 Turbo. The two turbochargers now have an even higher air throughput allowing an increase in charge pressure under full load to 2 bar. Output of the 3.6-litre power unit is now 340 kW (462 bhp) at 5700 rpm, that is 10 per cent more than on the 911 Turbo. Maximum torque of 620 Newton metres or 457 lb-ft comes at a low 3500 rpm and remains consistently available until 4500 rpm. All this enormous power from the engine of the GT2 goes to the rear wheels via a six-speed manual gearbox. 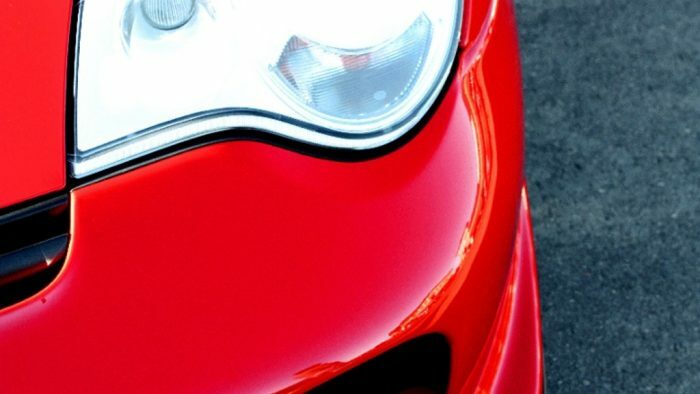 The focus in developing the GT2 was clearly on sporting power and performance to the absolute extreme. Accordingly, the objective was not only to boost engine output, but also to reduce the weight of the car. Weighing in at 1440 kilos or 3175 lb, the GT2 is exactly 100 kg or 221 lb lighter than the 911 Turbo, this reduction in weight coupled with the increase in engine output providing an ideal power-to-weight ratio of 4.23 kg/kW or 12.68 lb/bhp. 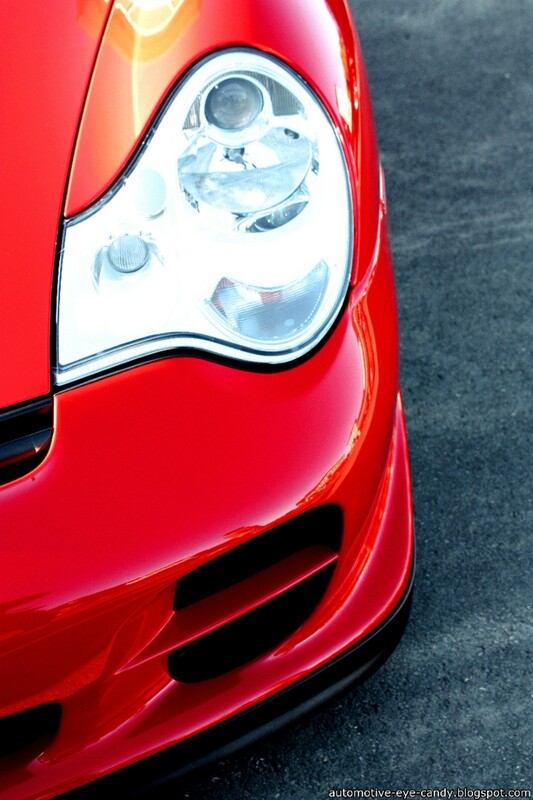 The performance and driving behaviour of the 911 GT2 clearly focus on sporting, agile handling of the highest standard. Whether the requirement is lateral acceleration, load changes in bends or lane changes at high speeds – this truly outstanding Porsche excels in every driving situation with its very high level of active safety. The basis for dynamic performance of this kind is ensured by the car’s enhanced aerodynamics and careful retuning of the front and rear suspension with a firmer spring/shock absorber system and modified wheel location. The Porsche 911 GT2 comes as standard with the revolutionary Porsche Ceramic Composite Brake (PCCB) system. Weighing approximately 50 per cent less than metal brake discs of the same size, these ceramic brake discs reduce unsprung masses in the car by 16.6 kg or 36.6 lb. Further qualities of these brake discs are their very fast response, supreme anti-fading, excellent response and behaviour even when wet, a long service life and absolute resistance to corrosion. The combination of refined streamlining, an extremely dynamic and sporting suspension, and engine output of 340 kW (462 bhp) gives the 911 GT2 a standard of performance and driving dynamics superior even to the already outstanding performance of the 911 Turbo. With its power-to-weight ratio of 4.23 kilos per kilowatt or 12.68 lb/bhp, the rear-wheel-drive GT2 accelerates from 0 – 100 km/h in 4.1 seconds, reaching the 200 km/h mark in a mere 12.9 seconds. Top speed is 315 km/h or 195 mph. Air intake scoops redesigned and moved far to the outside at the rear meet the car’s greater demand for cooling air, an air outlet directly in front of the luggage compartment lid bearing testimony to the refined streamlining of the GT2. Another sign of distinction setting the new model aside from the 911 Turbo is the newly developed rear wing firmly fixed in position. Compared with the rear wing of the 911 Turbo, this new streamlining feature has been positioned both higher and further to the back for an additional increase in downforces. Air intake ducts in the two tips of the wing serve furthermore to supply fresh air to the engine: air coming in through these ducts goes into a collector box inside the rear lid and from there directly into the air filter. The power unit is a high-performance evolution version of the flat-six already featured in the 911 Turbo. The two turbochargers provide an even higher air throughput allowing an increase in charge pressure under full load to 2 bar. Despite the higher compression ratio, charge air temperature remains the same as before, new charge air coolers with an even higher level of efficiency providing the necessary balance. At the engine’s nominal speed of 5700 rpm, charge pressure is now 1.95 bar and peaks off at 6200 rpm, thus providing a virtually consistent power curve also above the engine’s nominal speed despite the increase in exhaust counterpressure. Maximum output of the 3.6-litre power unit is 340 kW (462 bhp) at 5700 rpm, that is 10 per cent more than on the 911 Turbo. Maximum torque of 620 Newton metres or 457 lb-ft, in turn, comes at a low 3500 rpm and remains consistent all the way to 4500 rpm. As on the GT1 and GT3, oil is supplied to this high-performance power unit by classic dry sump lubrication with a separate oil tank fitted directly to the engine. Thanks to the optimum configuration of the oil pumps and the specific volume of the oil tanks, this system ensures an absolutely reliable supply of oil to the engine even under extreme, lasting transverse and longitudinal acceleration. The overall amount of oil in the oil circuit as a whole is approximately 11 litres or 19.4 pints. Apart from the mufflers with lower exhaust gas counterpressure, the entire exhaust system is basically the same as on the 911 Turbo. Exhaust emissions are also at the same level as with the 911 Turbo, easily complying with the very strict D4 emission standard. This, in turn, means fulfilment of the EU4 norm under standard test conditions, that is a requirement not coming into force until 1 January 2005. 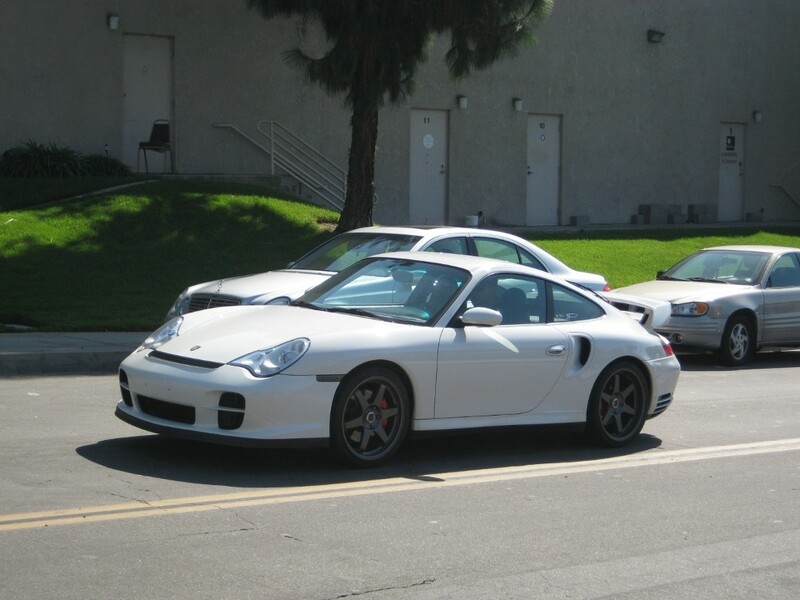 And it almost goes without saying that the 911 GT2 complies with the LEV standard applicable in the USA. 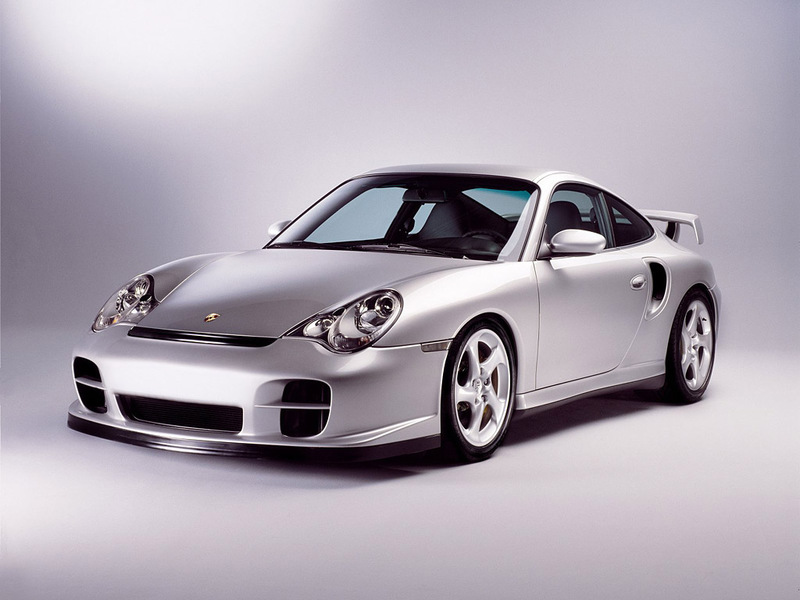 Following the 911 Turbo, the 911 GT2 is Porsche’s second model featuring VarioCam Plus. This valve lift adjustment system upgrading the well-known VarioCam axial adjustment of the camshafts to the new VarioCam Plus standard is made up of two interacting, switching cup tappets on the intake side of the engine operated by two cams of different size on the intake camshaft. This serves on the one hand to optimise both power and torque and on the other hand to improve fuel consumption and emission management, at the same time refining the engine’s smoothness and refined behaviour to an even higher standard than before. Power is transmitted to the rear wheels of the 911 GT2 by a six-speed manual gearbox, an evolutionary development from the former model with external cooling of transmission fluid and splash oil lubrication. The transmission ratios of the individual gears as well as the final drive have both been carried over from the 911 Turbo, together with all the measures taken for enhanced strength and stability as well as superior noise control. The synchronising rings on the gears are made of steel instead of brass, the greater strength and resistance of this material meeting the even higher requirements to be fulfilled in this case. The chassis and suspension of the GT2 is designed for sporting performance to the extreme plus superior handling at all times and in all situations, thus coping with an even higher standard of performance superior even to that of the 911 Turbo. Apart from the general requirements made of the front and rear axle following from these demands, this, inter alia, means that the car’s centre of gravity has been lowered by 20 millimetres, the use of adjustable anti-roll bars and a suspension system compatible with racing springs, as well as extra adjustment of axle geometry for the use of racing tyres. 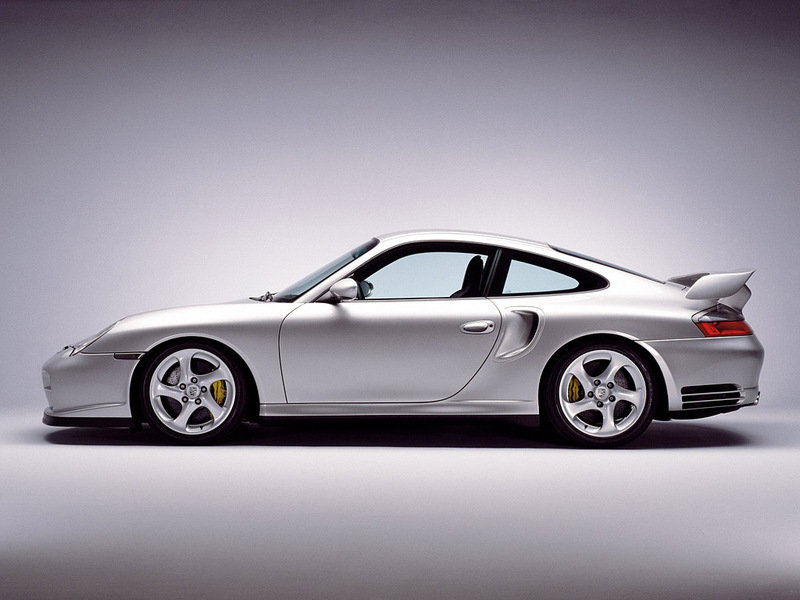 The GT2 is Porsche’s first sports car fitted as standard with the Porsche Ceramic Composite Brake (PCCB) system. Weighing 50 per cent less than metal brake discs, the cross-drilled, innervented ceramic composite discs measuring 350 mm or 13.8” in diameter reduce unsprung masses by 16.6 kilos or 36.6 lb. In conjunction with the all-new brake lining, these ceramic brake discs immediately ensure very high and consistent friction during the entire deceleration process. Abrasion is reduced to a minimum in comparison with metal brake discs thanks to the extreme surface hardness of the ceramic discs. The service life of the discs is improved accordingly, just as the material is absolutely resistant to corrosion in every respect. A further advantage, finally, is that ceramic brake discs are not affected in any way by solid or liquid salt on the road. 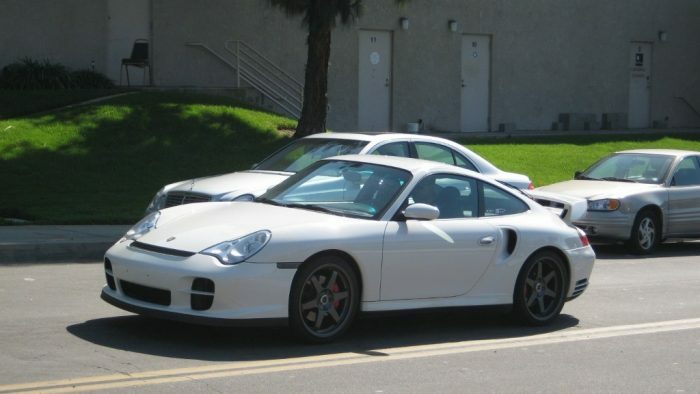 The GT2 is set aside from the 911 Turbo by a number of relatively modest and discreet optical changes. Particularly outstanding features are the front end, the rear wing fixed in position, and yellow-painted brake callipers as the symbolic colour of the PCCB brakes. The 18-inch light-alloy wheels come as standard with 235/40 R18 tyres and 315/30 R 18 tyres at the rear. Leather-covered glass-fibre bucket seats in the GT2 replace the usual seats in the other 911 models, guaranteeing not just optimum side support, but also excellent comfort both on long distances and when entering/exiting the car. Again, it almost goes without saying that driver, passenger and side airbags all come as standard, as well as other features such as electrical window lifts, an electronic immobiliser complete with a transponder system, central locking with remote control, and an alarm system. As an option at no extra cost the GT2 is furthermore available with the Porsche CDR 23 CD radio and automatic air conditioning including an activated carbon filter. The 911 GT2 also comes as a Clubsport version specially developed for the racing enthusiast able to participate in this way in official motorsport events without having to make any major modifications for this purpose. A particular feature in this case is the rollbar bolted directly on to the body, which can be enlarged to form a complete roll cage.